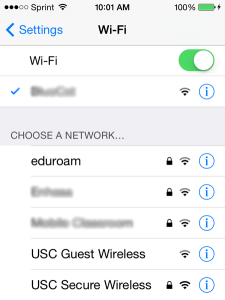 This page provides instructions on how to configure your iOS device to connect to the USC Secure Wireless network. From the Home screen of your iOS device, click Settings. 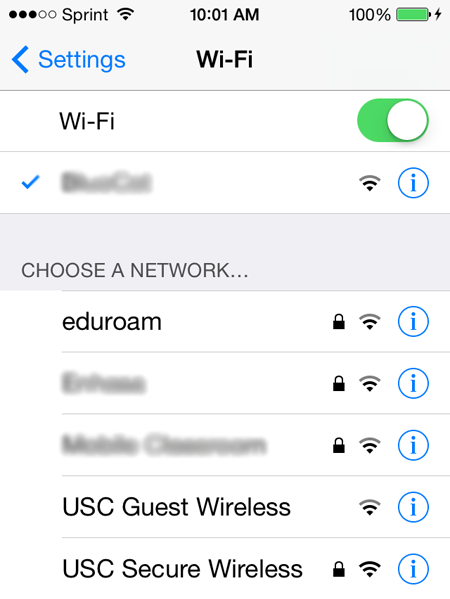 In Settings, click Wi-Fi and set it to ON, if it isn’t already. 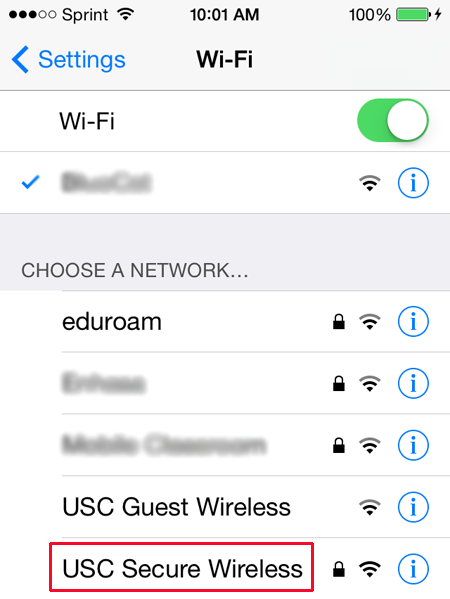 From the Choose A Network pulldown menu, select USC Secure Wireless. 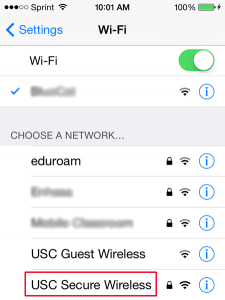 Enter your USC NetID username and password on the next screen and then click Join. Your USC NetID is the username and password you use to connect to services such as my.usc.edu and Workday. 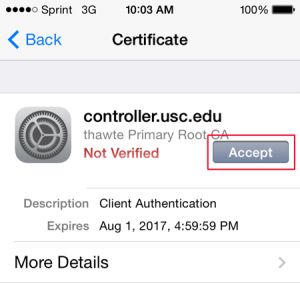 You will be asked to accept the certificate the first time you set up the USC Secure Wireless connection. Click Accept. You are now connected. Click the Home button to return to your applications.